EDITED: The recruitment is over. For candidates who was chosen we sent him both pm and mail. Please check and reply. He who doesn\'t reply before 9/29 HKT will be considered as dropping the chance. Please understand. Recently I have heard that our forum moderators are accused of cheating, this is absolutely a slander, and an insult. The reason they have incredibly much resource is because they have access to our test servers, and help us to test bugs out. All they are doing is trying to help. The test server isn\'t, and will never be counted into Normal Server Competition. 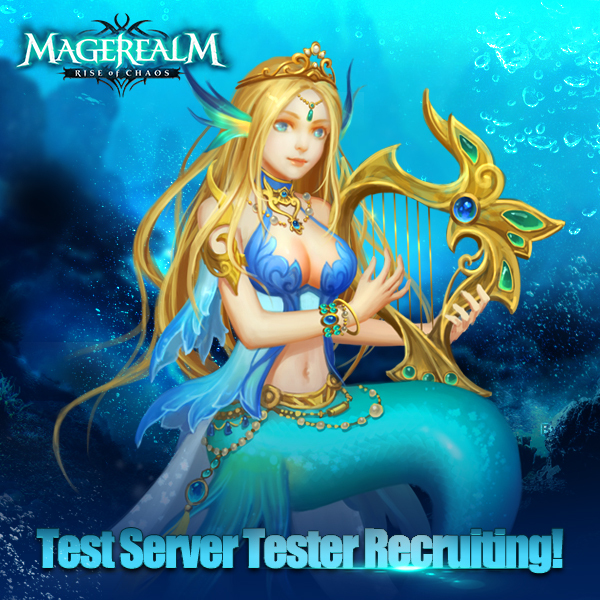 And to prove we are clean, we are going to recruit some of you as part of testers. No professional skills or special abilities of any king are required, as long as you possess love and enthusiasm for the game! Come and be one of the testers, help us to test out the bugs and make this game better! Before you apply for our Forum Mod position, please make sure that your Gmail account, Skype account, as well as a NEW Forum account(alt), are all up and working, as we use Gmail to arrange the schedule, Skype to communicate, Forum account for a test server account(The day you end with you quit, this account will be BANNED.) Thanks for understanding. What a Tester should do? 1. Level up in test servers just like in regular servers. 2. Test out every feature in game and you should make a lista of every bug you find (if any). 3. Communicate with mods everyday to keep each other updated about the bugs (if any) you find. What a Tester should not do? 2. Engage in any other inappropriate action as a Tester. 3. Mislead others with the wrong info. 4. Leak information without asking for approval of supervisor. We welcome everyone in the game as a supervisor of our testers, in order to ensure that there is no inappropriate behavior from their side. To report a Tester who have inappropriate behavior, please take a screen shot as proof when making the post. Also, In case we consider your gameplay (and level up) unsatisfactory, we may cancel your access to the server at any time. What is the requirement for becoming Tester? How long a Tester should work every day? Your work time is flexible. However, we hope that you have enough free time to stay on test servers as well as on regular servers. What an Tester can get? Bugs should be listed in a way that devs could recplicate it according to your instructions. Transtaltions errors will be paid 10 Realmgem each. Only first player to relate a bug will receive Realmgem for that bug. If you exposed a huge bug, you will get a bonus despite of the fact that you might only find 1 bug in that week. 1. The realmgems you got will not count as recharge, which means you cannot participate in the recharge events without recharge. 2. If you applied for Tester (and get accepted), please stay on skype as much as you can during 10:00-18:30 (HKT). 3. Payment will be sent to your main account. Plenty of free resources on test servers for TEST.Be a part of the team! You will be able to talk directly with us and help us make a better game. You will be the first one to see the latest version first. You will point us to bugs we haven\'t find and could even give us ideas on how to make the game better. You will get free resources to upgrade your char, equipments, heroes and all things inside the game (we may add more resources based on your need if we think it is necessary). How many Testers do we need? This won’t be the last time we recruit testers, so please don’t be discouraged if you weren’t successful on this occasion. Keep in mind that we need some time to optimize our In-game Moderation system. In the future we are planning to recruit regularly for this post, and you are most welcome to join us! avoid any inconvenience to all the players playing in all servers. and it will be nice if I could join the team to help and find bugs in-game. to be much better. Gmail and skype are active and ready for any form of communication. 2019-4-21 14:52 GMT+8 , Processed in 0.067037 second(s), 52 queries .